Bicycles are not allowed on hiking trails. No amplified music. Noise from radios and other devices must not be audible beyond your immediate campsite, regardless of the time of day or night. 189 RV and tent sites are situated on or near the Big Sur River. There is a Campfire Center that offers evening programs on the weekends during peak season. Pfeiffer Big Sur is an extremely popular campground. Reservations fill up six months in advance, even in the winter. Online reservations are available 24 hours a day, seven days a week at ReserveCalifornia. You may also call toll free 1-800-444-7275. Due to seasonal volume, access to the ReserveCalifornia website and telephone line may be limited at times. Campsites cannot be reserved online or by phone within a 48-hour arrival window. If ReserveCalifornia shows that sites are available within the next 48 hours, you must be physically present at the kiosk to secure that campsite. Senior Citizen Discount: Age 62 or older, $2.00 off all campsites except Hike/Bike. State Parks Pass holders must present pass at kiosk upon entry to park. Standard and Premium Riverfront camping fee includes entry for one vehicle and one towed vehicle or trailer. Additional vehicles will be charged per night. Maximum number of people per site is eight. Minors under 18 must have guardian authorization. There is no limit to the number of tents as long as they are contained within the boundary of the campsite and not on vegetation. All equipment, including trailers, extra vehicles, awnings, pop-outs and slideouts must fit within the parking boundary. During peak season, this park has a maximum stay limit of seven consecutive nights. Once the stay limit has been reached, the persons, equipment, and/or vehicles must vacate the campground for at least 48 hours before returning for another stay. Maximum length of stay per calendar years is 30 days. 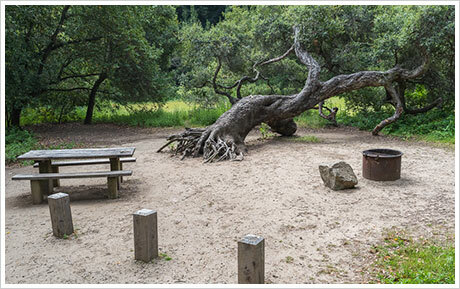 Each campsite includes a parking area for at least one car, a fire pit with half-grill and picnic table. No hookups are provided at any site. Fresh water, hot showers and toilets are a short walk. All incoming campers must check in at the entrance kiosk. Camper vehicles must display vehicle tag (proof of reservation) in the windshield. Vehicle tags are also valid for day use entrance into other area state parks. Check-in is 2:00 pm. Check-out is 12:00 noon. LATE ARRIVALS: Campers with a reservation who arrive after the kiosk has closed may proceed to their campsite. A Late Arrivals board will be posted at the kiosk with names and campsite numbers. There will also be printed campground maps available. Please check in with the kiosk in the morning at 8:00 am to complete your registration. Any discount pass must be presented at the time of check in. Visitors reserving accessible campsites must possess a DMV Disabled Placard or license plates issued by DMV (or similar agency of another state). A Disabled Veterans license plate will also be accepted when reserving or occupying an accessible campsite. At the time of check-in, visitors must show the DMV placard. The disabled visitor must be an occupant of the site for the entire reservation period. No refunds will be issued for invalid reservations. All campsites at Pfeiffer Big Sur are on a reservation system. Everyday during peak season, the campground is usually entirely reserved (booked 6 months in advance). Occasionally there may be cancellations that allow some day-of sites to be available. To get a day-of campsite (also known as a walk-up campsite), you must be physically present at the park's entrance kiosk. 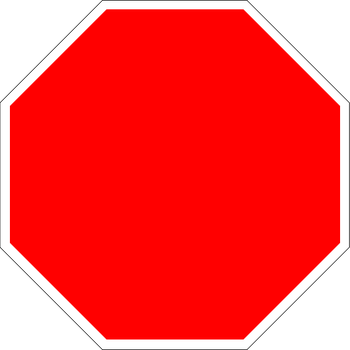 Day-of sites cannot be reserved over the phone, nor can information about site availability be obtained by calling. If you would like to try to get a walk-up site, it is best to be at the entrance kiosk when it opens at 8:00 am. At times of high demand, a waiting list may be created. Pfeiffer Big Sur State Park has one cabin available for reservation at $75/night. Nestled among the redwood trees, it sleeps four (twin bunk bed, one full bed). The cabin site has a maximum occupancy of eight, which can allow four more people to camp in a tent. There is also an adjoining campsite (#144), which is only available to the cabin occupants and can be reserved at the time of arrival. This site allows an additional eight people to camp. Both the cabin and adjoining campsite are ADA accessible. The cabin does not include electricity, heat, running water, bathroom or kitchen. Bathrooms and hot showers are nearby. The cabin is locked with a keypad. The cabin site includes a picnic table and fire ring. Three cars can fit in the parking area. Hot showers are token-operated. Campers may purchase tokens at the entrance kiosk or at select bathroom locations throughout the campground. 2 tokens = $1.00 = 4 minutes of shower time (2 minutes per token). Tokens may only be purchased in $1 increments. Showers are available to registered campers only. Pfeiffer Big Sur State Park has a dump station that includes potable water for freshwater tank fills. Campers with reservations and en route campers may use the dump station at no additional charge. Non-campers wishing to use the dump station may do so for a fee of $10. Two Group Campsites are available from mid-June through mid-October by reservation.These walk-in sites are for larger groups with tents only. Group campsites feature a large camping area, fire ring, potable water, picnic tables, flush toilets, and access to one small amphitheater (seats 50 people). There are no showers. Campers may use the pay showers in the main campground of the park. Minimum number of people is 9, maximum number of people is 35. There is no vehicle access to the group campsites. Campers park on the west side of Highway 1 and walk in to the campground (approximately 1/4 mile) across the Big Sur River on a seasonal wooden footbridge. No trailers or motorhomes can be used at this site. There are no dogs allowed at the campsite. Check in is at the Pfeiffer Big Sur State Park entrance kiosk. Both group camps are 1/4 mile north of the entrance of the park, west of Highway 1 and southwest of the Big Sur River. Parking is on the side of Highway 1. Each reservation includes parking passes for 10 vehicles. Additional vehicles are charged per night at the park. All weddings, receptions, welcome dinners, etc. at Group Camp must have a Special Event Permit. Contact the Special Event Coordinator at 831-667-0507 or BigSurEvents@parks.ca.gov for details. Fires are allowed only in the provided metal fire rings. Wood must be small enough to fit inside the ring and be completely contained. Do not gather firewood in the park. You may purchase firewood at the entrance kiosk or from a campground host. All fireworks are prohibited. Firearms, weapons or hunting is not allowed. Possession of loaded firearms and air rifles is prohibited. This includes anything that shoots a projectile, including, but not limited to, arrows, pellets, BBs and paint balls. Park plants, artifacts and animals are protected and should not be touched or harassed. It is important that you use the provided metal storage bins for all food and scented items to avoid accidentally feeding or having any negative interactions with native park wildlife.